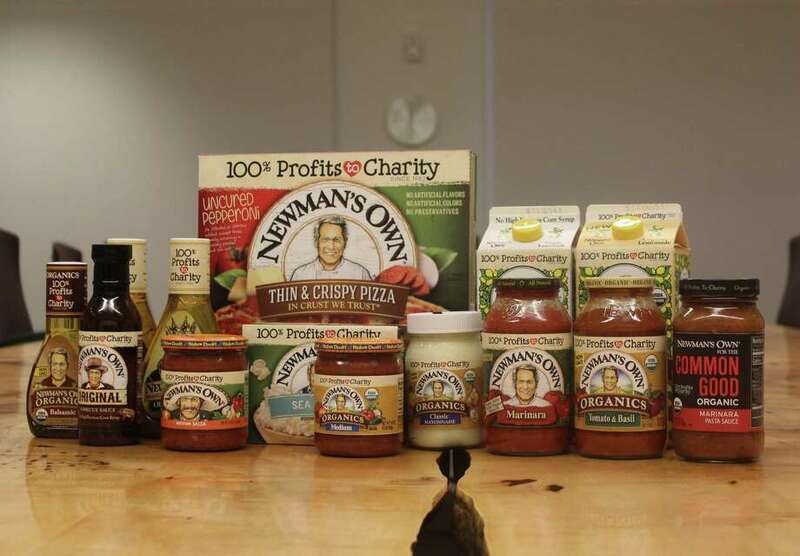 Westport-based Newman’s Own donates 100 percent of its profits — from products such as pasta sauce and salad dressing — to charity. WESTPORT — Hundreds of community members will gather Sunday to test their fitness limits while working to help a local charity. Mental Grit Fitness’ Push Against Cancer for Kids, the company’s push-up challenge, is on track to raise about $100,000 this year for the Hole in the Wall Gang Camp, a camp for seriously ill children founded by longtime Westport resident, the late Paul Newman. “Together we can do so much good,” said Andy Berman, personal trainer and Mental Grit Fitness owner. Berman, a Norwalk resident, founded the push-up challenge eight years ago to bring his Westport clients and community members together, united behind a good cause. At the event, which will take place from 9:30 to 11:30 a.m. at the Levitt Pavilion in Westport, participants will do as many push-ups as they can in an hour, all the while raising money through sponsors. Berman anticipates 300 participants and another 100 attendees there to cheer them on. Attendees will include Westport police and firefighters, as well as First Selectman Jim Marpe, with local gyms closing for the event, including Revel CrossFit, JoyRide Cycling and Fitness and ACHIEVE Fitness. Sunday will be the eighth time Westport residents have put their muscle on the line, doing push-ups for charity. When Berman heard of the Hole in the Wall Gang Camp, he was “hooked right away, 100 percent,” he said. Newman was among his favorite actors and he had a passion for working with and helping children. In its first year, the event raised $7,900. It has grown each year, and Sunday’s event has already raised $75,000, putting it on track to make $100,000 for the camp. His goal is to eventually become the camp’s top fundraiser and ensure ill children can get a camp experience. A part of the SeriousFun Children’s Network, a Westport-based nonprofit, the Hole in the Wall Gang Camp benefits from Newman’s Own Foundation grants. Newman founded Newman’s Own, a Westport-based company that donates 100 percent of its profits to charity, and is marking 35 years in 2017. “It’s quite a remarkable journey,” said Bob Forrester, Newman’s Own Foundation CEO and president. This year, the organization is set to surpass more than $500 million in giving. Forrester called its success proof a business model of a sustainable company with a charitable purpose can work. While he emphasized all charitable partners are special, the SeriousFun Children’s Network, founded by Newman, is among those prioritized this year. “The camps are the most special to us,” said Forrester, a longtime friend of Newman, who joined the foundation at its start in 2005. After founding the camps, Newman visited and cared deeply about their cause throughout his life, Forrester said. Newman died in 2008. This year, there is some special emphasis to expand camps in underserved areas of the world, including India, Tanzania, Cambodia, Vietnam, Ethiopia and Botswana. All serve seriously ill children and their families. Throughout it all, Newman’s Own aims to continue its founder’s spirit, preserving a sense of humility and graciousness as it marks itsw 35th year.